The Steelers lose offensive line coach Mike Munchak to the Denver Broncos today. Munchak will assume the same position for Denver in a lateral move that makes little sense to Steelers fans. There wasn’t any comments from the Steelers organization about whether they wanted to retain Munchak with his contract expiring after the 2018 season. We can all assume that they would’ve liked to keep him, but we’ve been left in the dark about the whole situation. Munchak interviewed for the Denver head coaching position, but ultimately lost out to Vic Fangio. It was believed that at that point he would be back in Pittsburgh on a new contract, but that never happened. Munchak’s daughter reportedly lives in the Denver area and could’ve been the major selling point and reason for him heading to Denver. 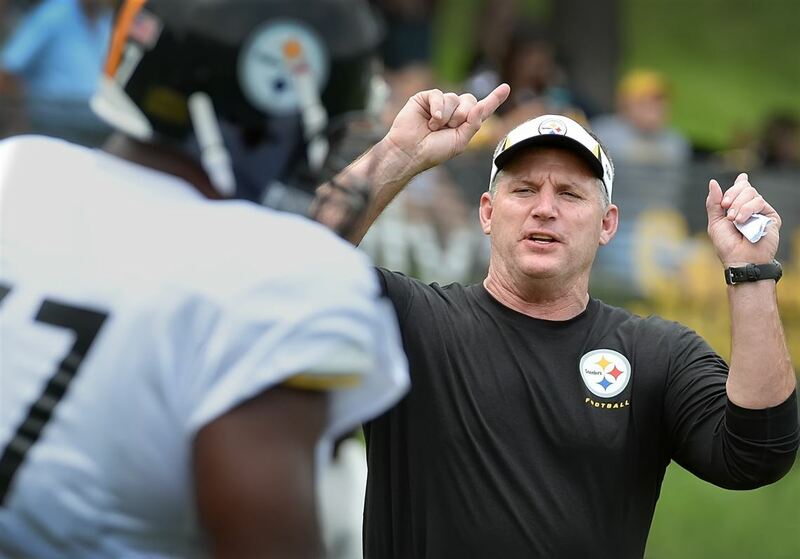 The Steelers likely will turn to veteran coaching assistant Shaun Sarrett to replace Munchak. He has worked under him since 2014, and been with the team since 2012. Our best coach. No other position coach can do that. Our offensive line was the best in the league. Ruben Foster is getting old but the others have mastered their positions well.